Who doesn’t love a beautifully created website? It has been observed and surveyed that visually attractive websites garner more traffic and convert more leads compared to those with mediocre looks. There are many Premium and free WordPress themes in the market that can greatly enhance the look of your website. There are specialized themes that can help you create your favorite niche website without much trouble and with lots of features to make it beautiful. 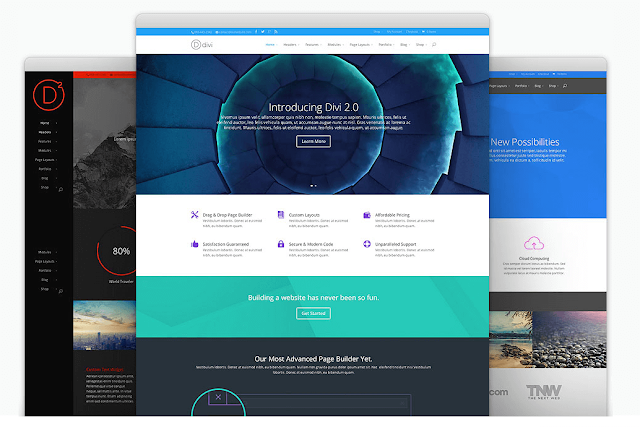 Divi is one of the most downloaded WordPress themes in the market. It is a one-page theme and is used to design many different types of websites. Divi has more than 40 customizable pre-built layouts to design the layout of your website. It has a very easy to use drag and drop page builder that helps you create numerous pages for your site without any coding knowledge. It also supports parallax scrolling and adding a background video. Divi is a very secure theme and is certified by Sucuri itself which is a leader in WordPress security plugins. 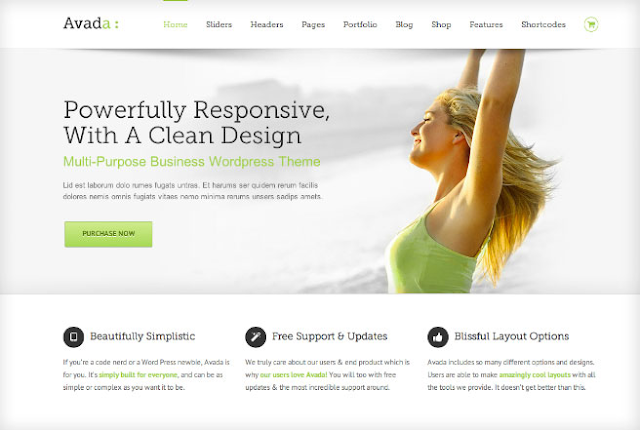 Avada is one of the most popular and most sold WordPress themes. At present, there are about 80,000 websites using Avada. It is used to design websites ranging from simple portfolio websites to niche websites like that of healthcare, news, etc. It supports Fusion Builder which is a visual page builder that can help you create your page layout within a couple of hours. Avada comes with premium sliders and you have five different header designs to choose from. It is highly responsive and supports plugins like WooCommerce to help with starting your online business. 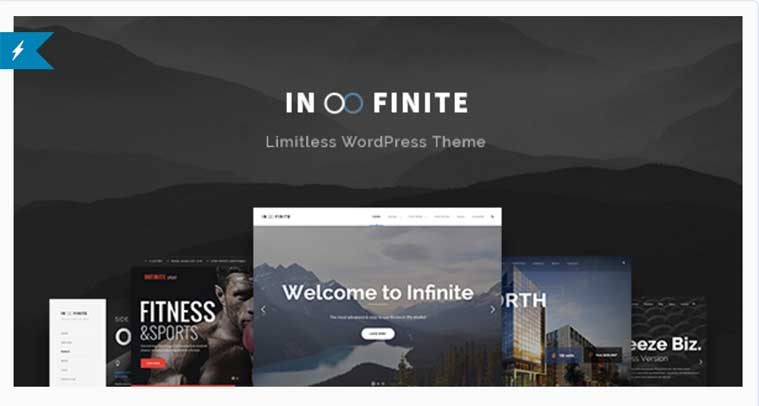 Infinite is a WordPress theme used for design multipurpose websites. It is fully SEO optimized and responsive on almost every device possible. Infinite has a very fast page loading speed which is itself tested by Google. Infinite has a feature called Font uploader that lets you upload your own customized fonts. You can create beautiful backgrounds with the Lightbox and additional CSS files and animations present. Here also you can set up shops online as it supports WooCommerce plugin. 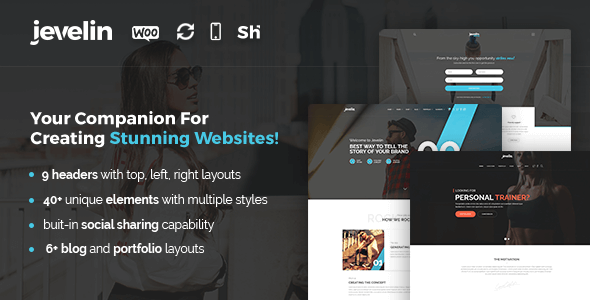 Oshino is one of the most creative and popular theme on the web. It best suits on blogs, portfolio, agencies, business and shops, With the Oshine, you can set up any kind of website. 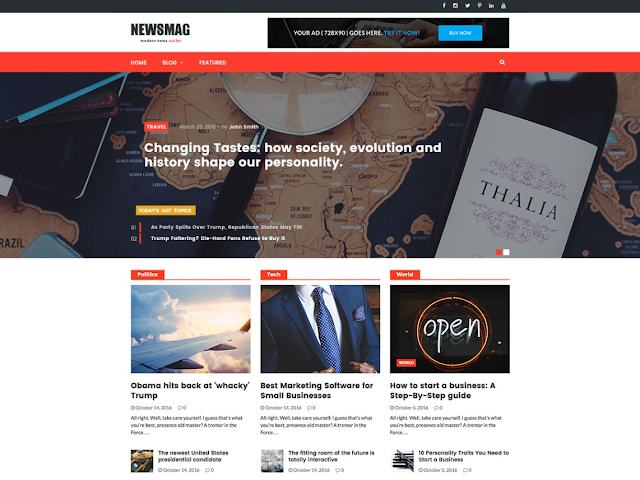 This one page versatile WordPress theme already consist an extensive number of customization features that are enough to grab your viewer attention. It provides 6 blog style, video background, Parallax & fully screen sections, superior performance and much more. 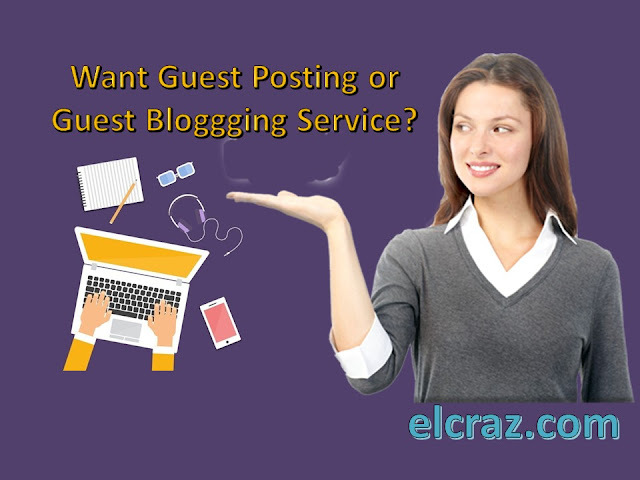 Zillah is a very popular theme among bloggers to design blogs. It is fully SEO optimized and you don’t need to worry about website’s clean code. There are many useful and unique features that make this theme so popular. It has custom widgets and logo and also comes with a live customizer that helps you customize and see your blog in real-time. 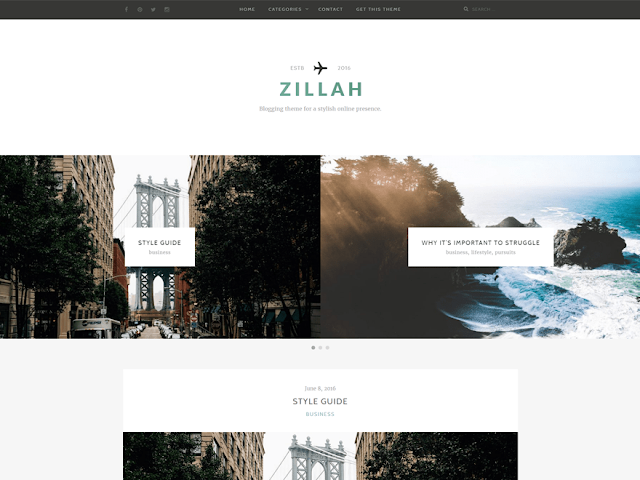 Zillah has a responsive design and a range of colors to choose from. It has author boxes present in each post. If you want to start an online magazine of your own in any niche of your choice, then NewsMag Lite is the best theme for you. It has many sample website templates for you to test on your website do the necessary customization to design your desired layout. NewsMag Lite has built-in SEO settings, custom logos, and also supports Google Fonts. It supports WooCommerce plugin if you want to sell products like hardcover books and any other merchandise. This theme has extensive code documentation available to read and edit. The best part about this theme is that it is free. Jevelin is a versatile theme which is used for designing many small agency and startup websites. You can build web pages on your website using the visual page builder and no coding without interfering with its HTML and CSS code. Jevelin has six different blog layouts and sample websites for you to have an experience of their features. It has multiple custom post styles and features like Back to Top interfaces, dynamic categories, and Slider Revolution- powered sliders. 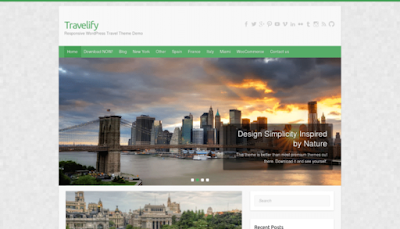 Travelify is a free theme available on WordPress designed specially for creating tours and travel websites or blogs. It has many features regarding functionalities that make it a fierce competitor in travel domain oriented WordPress theme market. Travelify has pixel perfect design and many website templates to choose from. There are many theme options to alter and customize their looks and user interface. Dynamic features like sliders and visual page builder help you to set up your website without any prior coding knowledge. 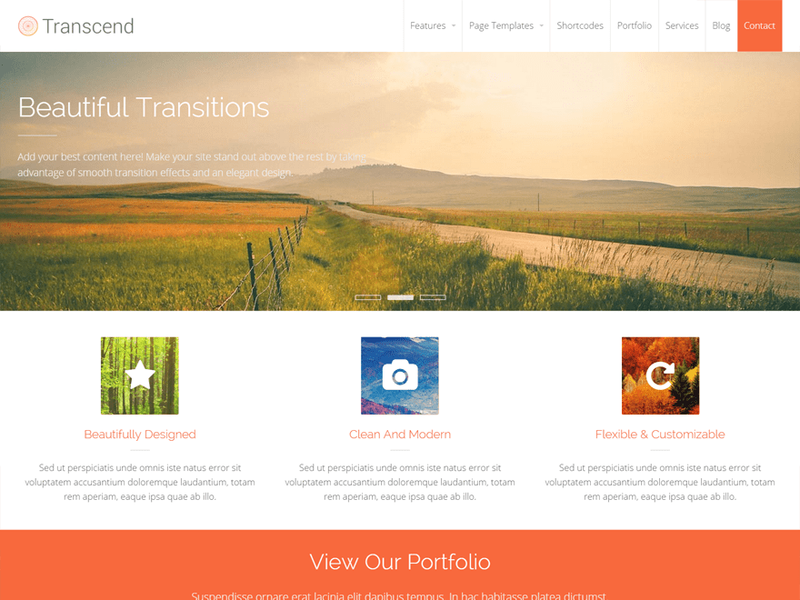 Transcend is a multi-purpose, responsive and a very flexible WordPress theme extensively used for building many business websites. Transcend gives you many website building features like embedding a video on your website’s Homepage. It is coded with HTML5 and CSS3 that gives it a beautiful dynamic look. Dynamic sliders and animators. With Transcend’s Ajax technology you can add categories on your site. With this theme, you can easily set up an online store as it also supports WooCommerce plugin. 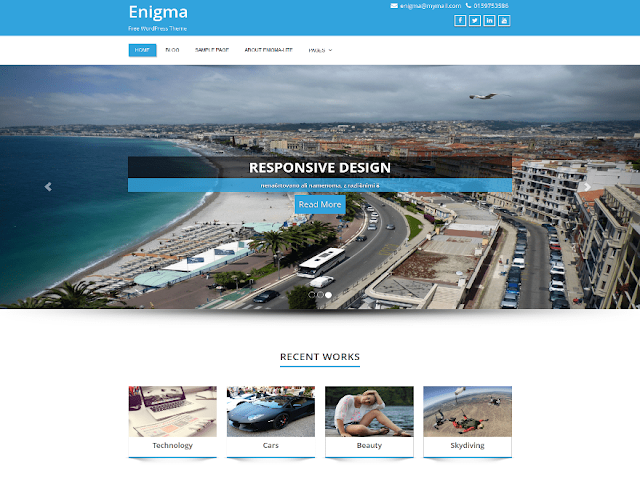 Be it your personal blog or a small agency website, Enigma is a versatile WordPress theme. Written in a clean code language, it is a fast and lightweight WordPress theme used to design many different kinds of websites. With its cross-browser compatibility, your website can run flawlessly on every browser. It has beautiful looks and your posts can be viewed on high-resolution retina displays. Enigma also lets you include social media links in its header and footer areas, a feature supported by very few themes only. With so many themes you are bound to get confused which will be the best one for your blog or site. Apart from keeping good looks in mind, also keep an eye on the functionalities any theme has to offer. 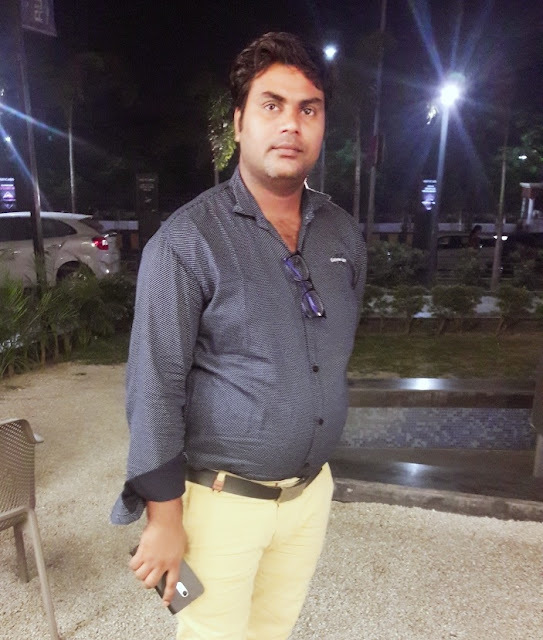 Some theme might be specialized for some particular niche only. Also, don’t go for heavy design. Rather opt for a simple minimalistic yet a classy WordPress theme.